The Lancia Motor Club was founded in 1947 and is dedicated to encouraging the use and preservation of all Lancia models from 1906 to date. 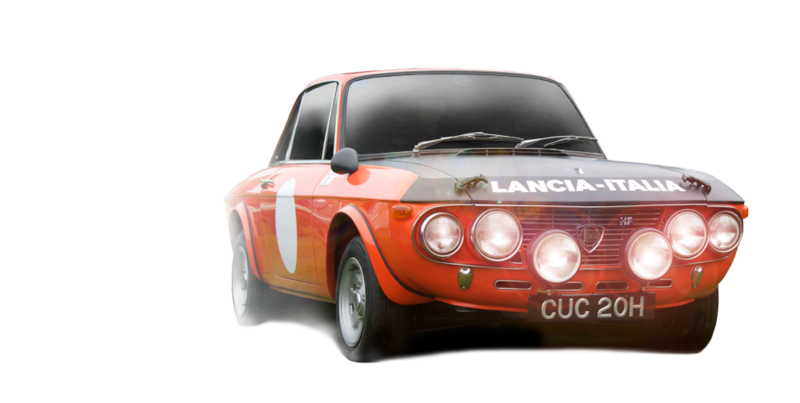 You are welcome to browse and see what the Lancia Motor Club has to offer to you as a Lancia owner and/or enthusiast. If you wish to join the oldest and largest club dedicated to the Lancia marque, then you can join securely online, or if you prefer you can print off or download an application form and send it to us through the post. Member or non-member, we hope that you find this site useful and informative. Benefits include access to exclusive motor circuit track-days, driving tests, touring and economy events in the UK and abroad, regional meeting, and family days out. We offer preferential insurance through dedicated insurance partners, and also access to our stock of Lancia specific workshop tools. We also have specialist advisers for every Lancia model who can help in keeping your Lancia running and giving you pleasure from owning a bit of automotive history. As a club we participate with major displays at Classic Car events such as the NEC Classic Car Show.